When a relative or friend is arrested, it can be a traumatic experience for everyone involved. The first thing to consider if you or someone close to you is arrested is bail. According to the Eighth Amendment, each citizen has the right to bail, which guarantees their release from prison until their court date. Depending on the crime committed, bail should generally be set at a reasonable amount. Even then, it may not be affordable for those arrested. Thanks to bail bondsmen and affordable bail bonds, there’s no need to fret behind bars until a set court date. In this post, we’ll outline how bail bonds work and how to find the most affordable bail bonds in California. It’s common to mistake bail and bonds, as these two terms are so often used interchangeably. Here’s the difference. Bail is a monetary guarantee or “promise” that a defendant (the person arrested) will return to court on their set trial date after their release from prison. A court judge will set the bail amount according to the severity of the crime, the defendant’s previous criminal record, and their potential flight risk. More often than not, bail is set at a reasonable amount for most common crimes. If the crime is especially serious, bail can be set very high. This is where affordable bail bonds come in! Bail can be paid in a number of ways, including cash, check, credit card, and surrendering property to the court. If the defendant does not return to court on their set trial date, the bail payment is seized by the court. The defendant may post their own bail, or bail must be paid for by a family member, friend, or third party. Even if bail is set at a reasonable amount, many defendants just have the funds to pay it. When this is the case, defendants can turn to bond companies. These companies loan affordable bail bonds to secure a release from prison. Bond companies are similar to insurance companies in that a defendant is buying a bond, or insurance policy, to secure their release from behind bars. The bail bond amount is usually set at 10% of the total amount of bail set by the court. This 10% cost is non-refundable to the defendant. If a defendant does not appear in court on their set trial date, 100% of the bail fee is expected to be paid to the court. Usually, it’s the bail bond company who takes this blow. If the bail amount is set high, the bail bond company will request security from the defendant in the form of property, a car, etc. If the defendant skips their court date, the bail bond company has something of value to compensate for the full bail amount which must be paid back to the court. Now that we’ve covered the difference between bail and bonds, here are a few tips on how to secure affordable bail bonds. A reputable, qualified and affordable bail bondsman must hold a license and adequate insurance in the state of California. There’s no harm in doing a quick background check or even asking to see their bondsman license if you’re in doubt. Licensed bondsmen are legally obligated by the courts they work with to charge fair and affordable rates. Do a little homework on local bondsman in your area by comparing online reviews. If you find a bondsman who suits your needs, find out more about their reputation by asking colleagues what they know or have heard. If you can’t find a decent reference, visit their website or review sites for feedback on their prices and level of service. Double check that the bondsman you choose is close enough to the jail you or the defendant is being held in. Don’t fall for an advertisement that they’re located across the street when this is merely their P.O. Box. Having to truck across town to a bondsman office is a waste of time and money. Find a bondsman with a reasonable location for your needs. Ensure the process flows as smoothly as possible by being well-organized. This way, a bondsman will keep you in the forefront of their mind and do their best to help. When you arrive at a bail bondsman’s office, bring a credit card, cashier’s check, your ID card, and a title for a car or property. 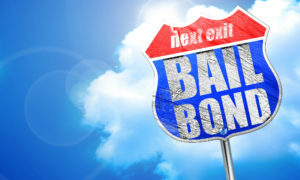 Securing affordable bail bonds is simple if you put in a little extra effort too. This may seem like a no-brainer, but make sure you’re not being overcharged by your bail bondsman. Most bail bondsman will charge a small fee for their services, over and above the 10% of your bail bond. This is standard, but do some research beforehand to ensure their fee isn’t astronomical. If you can, find a bail bondsman who charges the minimum cost and does not ask for more security than they should. This could be a warning sign you are being taken for a ride! How does a particular bail bondsman treat you when you first meet? Are they patronizing, condescending, or offish? If so, this is not someone you want to put your freedom in the hands of. Make sure you’re 100% comfortable with the bail bondsman you turn to. If they show compassion, care, patience and are willing to help, you can be assured of good value for money. A truly certified professional who offers affordable bail bonds will provide you with an estimate of when to expect the release from prison. If you’re curious about anything, a reliable bondsman should be a resource to help you through the process. 8. How Readily Available Is Your Bondsman? Does the bondman service you choose offer 24-hour assistance, seven days a week? The justice system does not sleep. If a loved one is arrested in the wee hours of the morning, will your bondsman be able to help? Make sure the bondman service you choose is not only affordable but readily available to help. Bail Man Bail Bonds serves the great state of California, providing hassle-free, instant bail bond approvals. We are at your service 24 hours a day to ensure you receive a discreet, efficient, and cost-effective bail bond service. If you’re looking for a trustworthy bail agent, get in touch with Paul Columbis at Bail Man Bail Bonds. Bail Jumping: Why You Should Think a Hundred Times Before You Do It! Appearing in Court Wearing an Orange Jail Jumpsuit: Does It Affect You? Copyright © Bail Man Bail Bonds. All rights reserved.